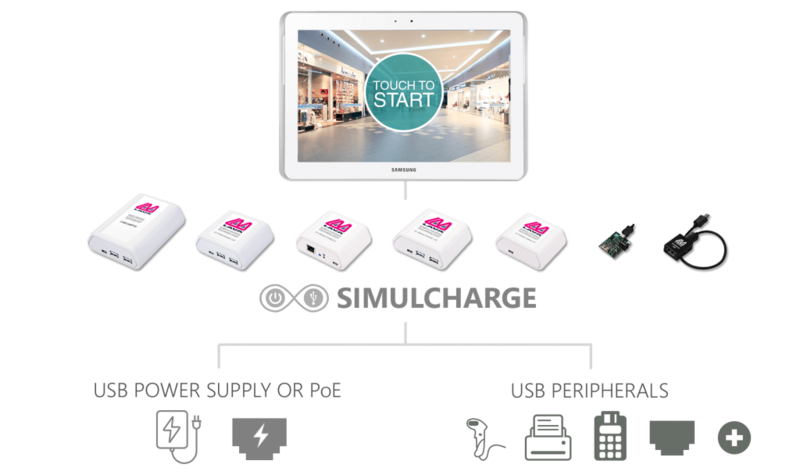 Simulcharge (s'aɪmʊltʃʌrdʒ) noun is a mode uniquely innovated by LAVA that allows portable devices such as tablets or phones, to charge while simultaneously interacting with USB accessories. 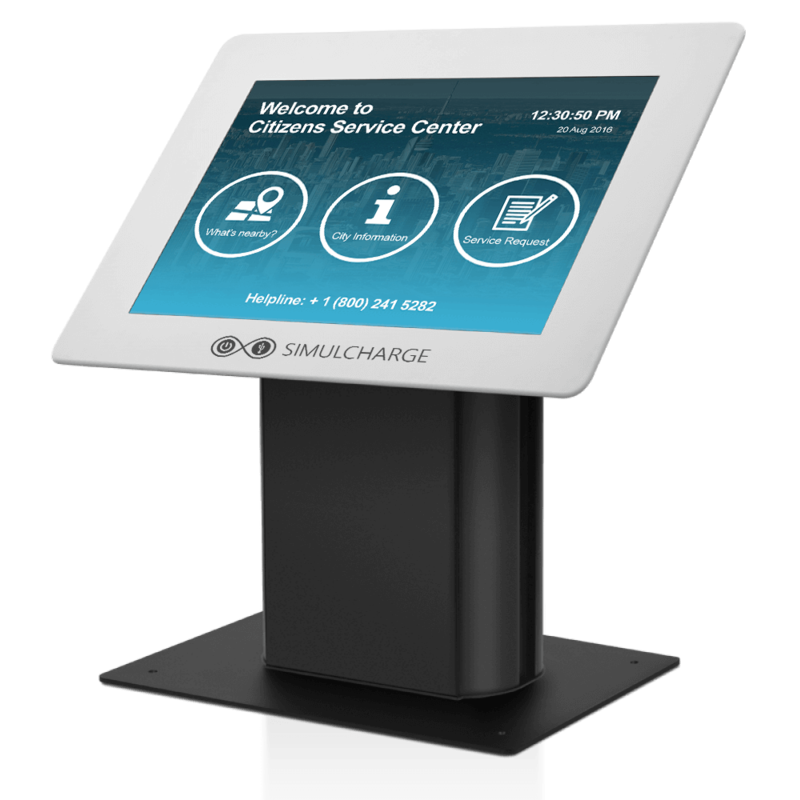 Samsung tablets can be used in a variety of tablet kiosk applications where LAVA adapter accommodates with SimulCharge technology charging andconnectivity for both, the tablet and the USB peripherals. 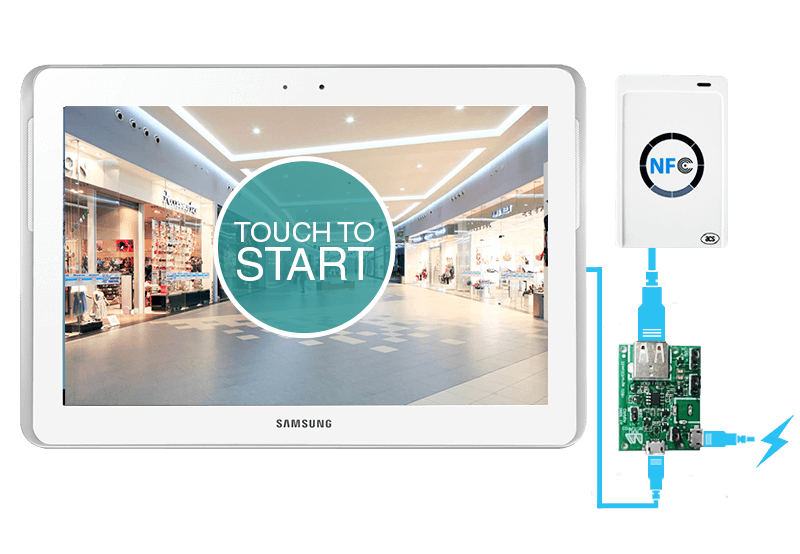 Our adapters come in a wide range of options, including RBM technology, an overcharge protection and network recovery to extend the tablet lifespan and provide a reliable network, and Docking Detect feature for the permanent and portable kiosk applications. The technology that enables possibilities. RBM, the extension that makes them last. USB/Wall Power Supply. Simply connect your tablet to the nearest electrical outlet with the use of a Samsung power adapter (included with the tablet). Power over Ethernet (PoE). Employ network cabling with PoE. This method can be significantly less costly than installing dedicated electrical outlets through a facility can support longer cord lengths and provide a reliable network connection. Enjoy the flexibility that LAVA’s Simulcharge and RBM bring so you can operate your tablet 24/7/365. 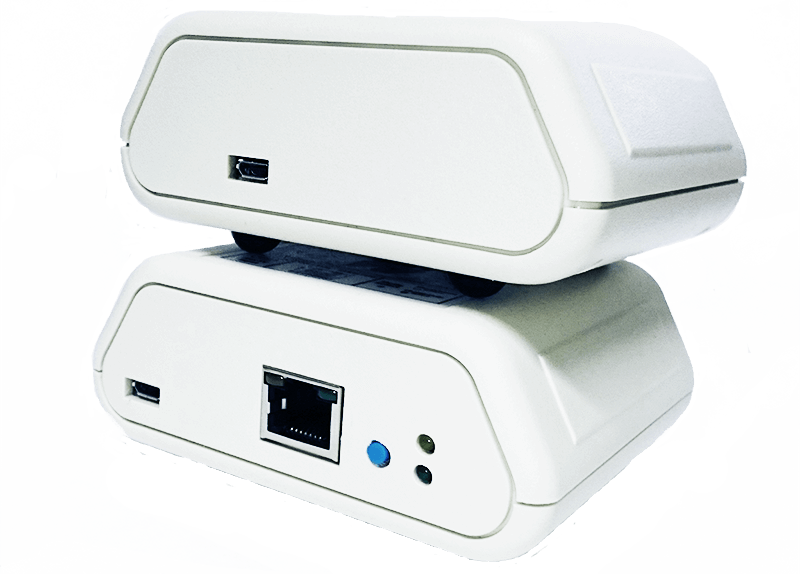 By providing a combination of USB connectivity while safely charging the tablet, LAVA devices deliver a robust, scalable platform for small or large tablet deployments.